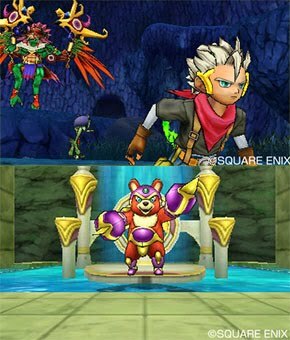 Gaogaia is an Incarnus "that gives off the impression of an innocent bear.” Really? We think there's an eerie, steely touch of Monokuma about him! Incarnus can evolve into stronger forms through synthesising. The game will be for 1-4 players, both online and local co-op, and will feature top-down chaos actio" with powerful spells (Projectile, DoT, AOE, Beam, Spray and Physical spell types). There will be unlockable characters and items and randomly generated monsters. Danganronpa: Ultra Despair Girls is a very clever twist on the Danganronpa franchise, replacing the slow, methodical visual novel structure of the main, numbered, games, with a action/puzzle shooter. Against the odds, it's one of the best games available on PlayStation Vita, and now we have the release date for the PlayStation 4 port of the game! It's not long away; you'll be able to get stuck into this one on June 23 (Europe and Australia) and June 27 in the US. Courtesy of NISA, there will be both digital and physical releases of the game. The anime adaptation of Higasa Akia’s The Royal Tutor is coming along swimmingly, and a recent teaser trailer revealed that it will premiere this spring. Based on the manga of the same name (released as eBooks in 2015), The Royal Tutor follows — you guessed it — a tutor to a handful of young royals, princes to be exact, from the kingdom of Grannzreich. The tutor, Heine Wittgenstein, looks like a child but packs a punch when it comes to personality, leading to some epic comedic moments when it comes to his interactions with the princes. The princes include Kai, Bruno, Leonhardt, and Richt; all have the last name von Grannzreich, making their role in the kingdom of the same name quite apparent. Kai, the eldest at 17, is very private and rarely appears in public. Bruno, 16, is a child prodigy often referred to as a genius. Leohardt, 15, is extremely vain and believes himself to be the most beautiful person on the continent. Richt, the youngest at 14, has a bright personality and bonds easily with foreign royals — but he does tend to act as though he isn’t royal at all. Oh boy oh boy, is Blue Reflection ever shaping up to be Gust’s best game to date — and that’s saying an awful lot, as the developer has rapidly become one of our favourites. The first gameplay video for the upcoming title was shown during a recent live stream; the entire stream is shown in the below video but the goods are at 28 minutes. Also revealed in the stream is that first-print copies of Blue Reflection will include a PS4 theme, and in-game theme, and an in-game school swimsuit outfit. The swimsuit outfit will undoubtedly raise eyebrows in the West for no reason considering it’s a school uniform, so keep an eye out for that drama. Blue Reflection: Sword of the Girl Who Dances in Illusions will be out in Japan for the PlayStation 4 and PS Vita on March 30.